Old glove on left has that irritating wrist curl. The big disadvantage is that over time (perhaps six months) the wrist area curls up meaning that the good idea of wrist warmth is lost, and also it is an aerodynamic disaster. It reveals that gap between glove and armwarmer which is a pain. 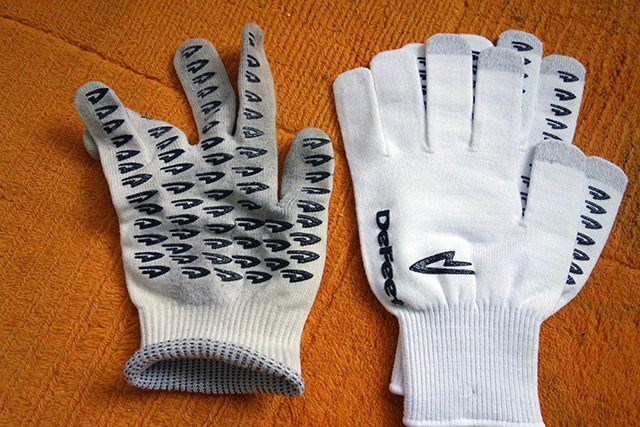 It remains to be seen whether the new e-touch dura gloves have been improved in this area. I have only bought last week, so it is too early to say, but I’m not optimistic. This fault is a big shame, because it goes from getting 5/5 to only getting 4/5. I will try to remember to update this review in due course. At £15 it’s more expensive than a bog standard glove, but I feel justified for extra features. The downside is that wrist curl which makes you want to get a new pair, when really they should last longer. 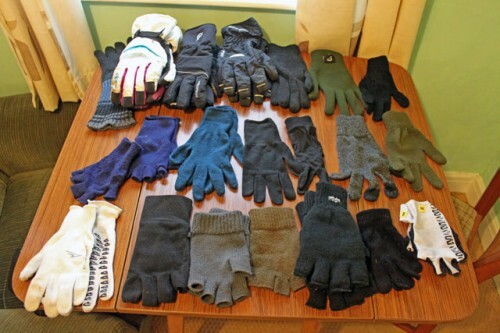 Mind you I manage to lose gloves after an average life-span of about one year. A small selection of some of the gloves I’ve used over the years. i have to #gloves ! I purchased a pair of seal skinz fully waterproof breathable gloves and I’m very impressed. So far they’re the only waterproof warm gloves that don’t leave me with wet hands at the end of a ride. Although they aren’t that cheap. 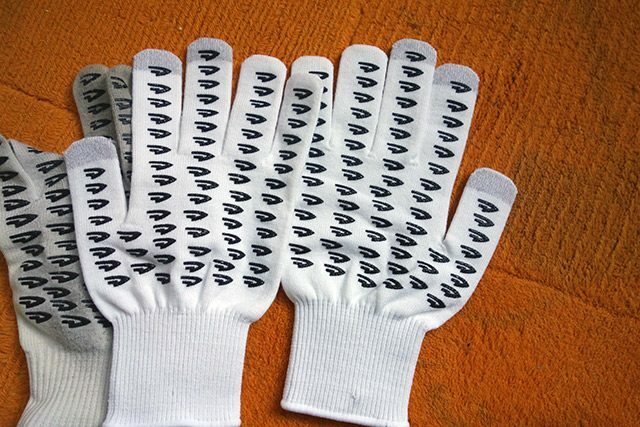 I’ve tried many pairs of expensive gloves for cycling over the years but my favourite pair now are thin, cotton, work gloves with similar rubber grips to these. They came form the local £1 store and are easily as good as any others I’ve tried.